It would be interesting to have a super large working zipper. So large each "tooth" of the zipper is six foot tall. There would be a weird feeling of how a zipper works. And I wonder what sound it would make. If any. 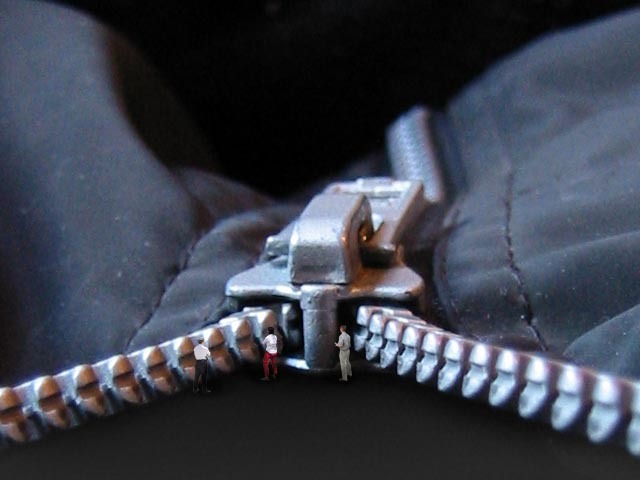 Here's a mockup I made of the World's Largest Zipper. aka: World's Biggest Zipper. Some weird zipper chromosome science thing called BZIP TRANSCRIPTION FACTOR PAP1 1GD2. Spatiotemporal Disorder called "Zipper boundary"
Some fishing joke about bass fisherman and fly fisherman.